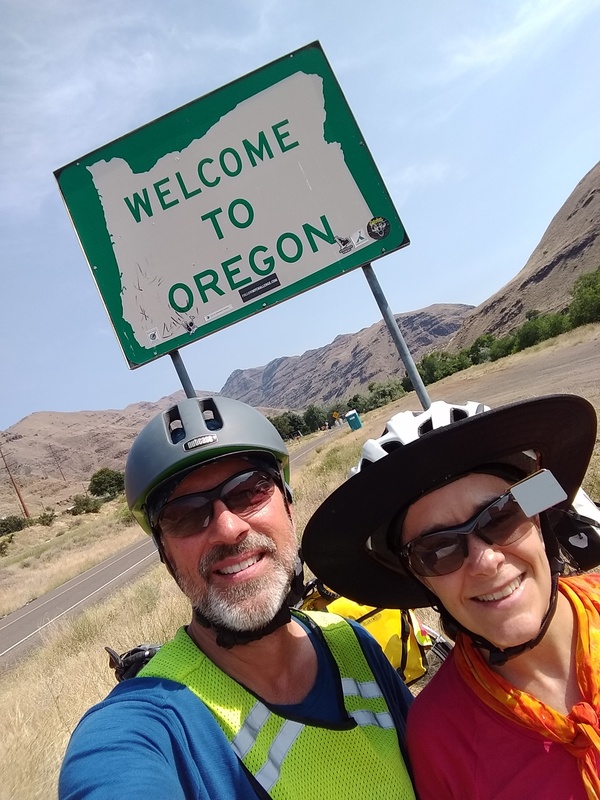 Jen and I discovered Cycleblaze late in 2017 and shortly thereafter became acquainted with fellow-Portlandians and Hostile Actors Bruce Lellman and Andrea Brown and Scott and Rachael Anderson. (That’s a lot of “ands” in that sentence). There were several gatherings that ultimately included high-power couples Jeff and Kristen Arnim and Willie and Kat Weir, all courtesy of Bruce and Andrea. This group, as well as many other bike tourers on Cycleblaze and other websites have inspired us to take up this strange, interesting and rewarding hobby. 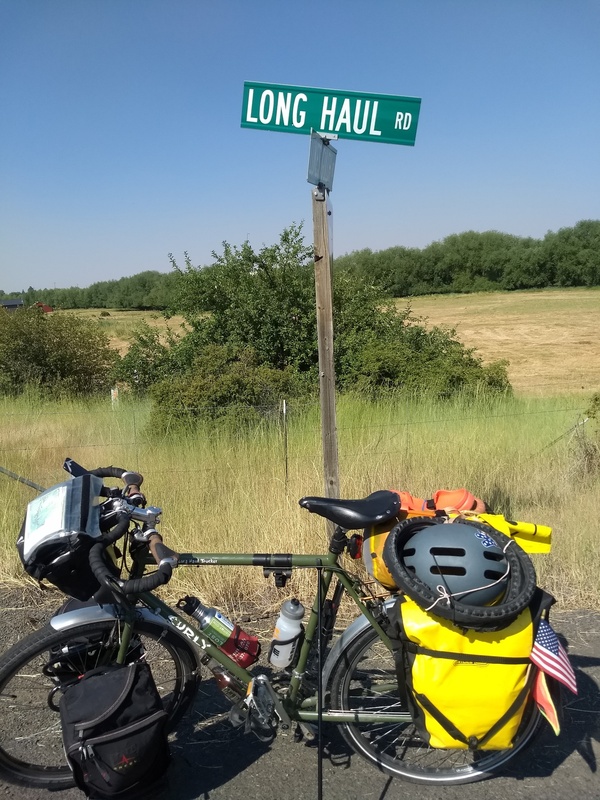 Traveling by bicycle is rewarding, maddening, awesome and humbling. But it beats the crap out of working. Delicious canned chicken and delicious Keebler peanut butter snack crackers seem less delicious when not cycle touring. Videoing yourself while lip-syncing old Slim Whitman songs seems logical after hours of cycling past corn fields, prairies and feed lots. I’m not sure what’s next on the cycle touring agenda but we will certainly be back out there at some point, climbing, eating, descending, lip-syncing and eating cannned chicken. In the meantime we are enjoying the other Cycleblaze journals that inspire us.